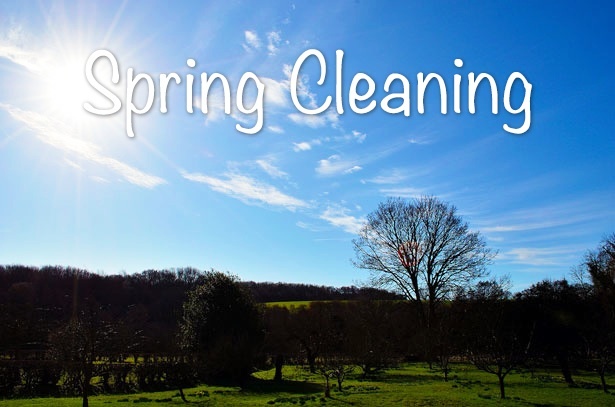 Spring cleaning is a tradition that dates back thousands of years in a variety of cultures. It's still a relevant tradition, even in 2016, so it's time to do some spring cleaning. Spring cleaning involves a variety of things beside actual cleaning. For example, it's a great time to remove generally unneeded clutter from your house. Old objects you no longer use, abandoned repair projects, and worn down items can either be thrown away, donated, or even sold at a garage sale. Typically this time of year also lends itself to dusting since the weather is nice enough to open the windows. This will not only allow the dust to leave the house but can also provide appropriate ventilation when using any cleaning chemicals. The tough grime on your stove and in your oven? Might as well take that on too. The longer you let stains sit and repeatedly cook into your surfaces, the harder it will be to remove those nasty stains. If you ever plan on moving or selling your house, this is even more important. Same thing goes with your bathroom. Get that filthy soap scum layer off the shower. Give the floors a thorough scrubbing to clean up any old dried stains that got missed over time. All in all, spring cleaning is an important but detailed task that will not only make your home look better, but also make you feel better. Removing the dust, mold, and other contaminants in your home will make living where you live even better.